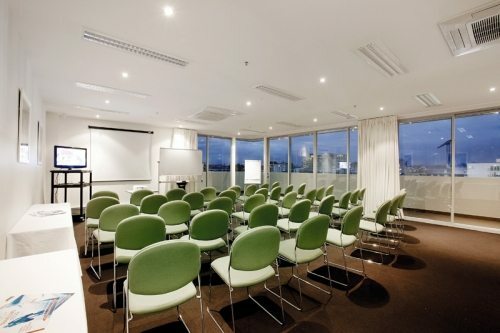 While in Melbourne for business, you may be required to host a business conference or meeting. Take advantage of our full facility conference room in South Yarra. Our 6th floor location allows magnificent views of the area and the large entertainer's balcony can be used to great advantage for impressing your most important clients. With a wide range of layout options and a trained staff on hand to assist, conferences or events for up to 40 people are easily managed. High quality audio/visual equipment, wireless internet access, catering and valet parking can be arranged as required. Book for half a day or longer if necessary and enjoy the bragging rights that follow your success. If hosting a more personal event such as a fashion show or interview, you may not require a full conference room but instead opt for a more intimate setting. Our spacious lounge areas are easily converted to suit your needs as required whether it's a small boardroom style meeting, retail display or family gathering.